The recent tendency to boil class down to consumption habits and taste in food is tiresome and unsound. Receiving his “frothy coffee” in Pontypridd’s Prince’s cafe, Owen Smith stopped mid-sentence to express some amusement. “I tell you it is the first time I have ever been given little biscuits and a posh cup in here,” Smith said, looking up at the owner David Gamberini, as his order was placed on the table. “Seriously, I would have a mug normally,” the MP added, examining the refreshments in front of him. Smith, the journalist and reader were to surmise, was an ordinary man of the people. 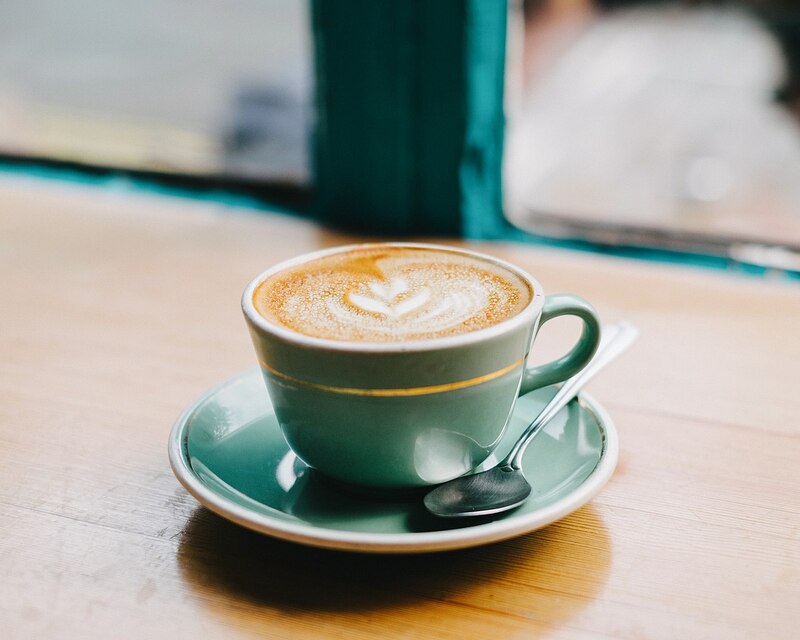 As such, the idea that he might be a cappuccino drinker, and worse, that the cappuccino might be served in a cup with a caramelized biscuit resting daintily on the saucer, could not be countenanced. It was anathema to his electoral strategy. Mayor of Greater Manchester, Andy Burnham tweeted scathingly about the idea of a “barista visa” allowing people from the European Union to work in the services industry post-Brexit, scoffing “God forbid the idea of waiting longer in the morning for their posh coffee.” Then step forward Leo Varadkar over in Ireland, who responded to criticisms of a budget that didn’t give much to anyone, by calling his opponents “latte socialists,” in lieu of the older champagne-socialist jibe. Tea, therefore, is the beverage of the salt of the earth working class, despite coffee being widely available and often cheaper than tea in cafes. For a country so obsessed with class, the United Kingdom is terrible at actually defining the experience that encompasses so much of our lives. The tendency of late to boil class down to taste in food and consumption habits is particularly tiresome. During the coalition government, the former chancellor George Osborne stated in the 2012 budget that “hot takeaway food” would be charged at 20 percent: this was swiftly dubbed the “pasty tax,” hitting as it did pasties and sausage rolls, but not most sandwiches. The Labour MP John Mann argued this showed the prime minister and chancellor were out of touch with the ordinary pasty-eating masses. Au contraire, David Cameron replied — he had eaten one recently at Leeds train station. The Sun newspaper dutifully dispatched a reporter to Leeds station and found there were no outlets selling hot pasties, pies, or sausage rolls there. Scandal. The Labour front bench traveled to a Greggs bakery, the largest chain in Britain and famous for sausage roll bulk-buys, to be snapped by paparazzi swinging bags of hot flaky goods, bolstering their working-class credentials. When Jeremy Corbyn announced a deal under the previous leadership would be reneged on, and that McDonald’s would not be sponsoring a fringe event at Labour Party conference, the outcry from middle-class journalists and politicians was sizable. Many lined up to tweet what an affront this was to the ordinary working man, who enjoyed a Big Mac, more of an outrage than the fact the company systematically crushed workers’ attempts to unionize and refused to pay a living wage. Class is complex, categorizing people by their culinary likes and dislikes is easy. It’s also, sadly, completely meaningless. Yet politicians and the media cling to it as they cling to any easy symbol that fulfills their own prejudices. Jeremy Corbyn, a vegetarian, teetotal cyclist with an allotment hits all the “oddball” cultural symbols for them — he eschews red meat! Doesn’t drink a can of lager at matches despite supporting a football team! He probably grows “organic” food, how outré! An extremely suspicious hippy, for all intents and purposes. Ed Miliband was coerced into eating a bacon sandwich, which while not an observant Jew, was used across the cover of a newspaper in a dog-whistle sentiment close to the 2015 election. Type Ed Miliband’s name into Google and “Ed Miliband Sandwich” is the third result. The message was universal. Look at him! He wants to lead the country, and he cannot even eat a sandwich, the food of the people, without looking like an alien. What else can’t he be trusted with? With this in mind, a survey that could have been created by a clickbait algorithm infected the British consciousness this month. When asked to compare Labour to a foodstuff, a focus group attendee apparently chose “quinoa”: that grain du jour of the imagined middle-class left. Headlines bemoaned the fact that Labour had previously been the party of “bingo, pies and pints,” and was now the party of “student protest and craft beer.” It dovetails beautifully into the shorthand favored by the press and huge swathes of the political class: a reductive modification of class, that strips out any link to geography, economic status, and work stability. Whittling class down to lazy totems is patronizing in both directions. Supporters of Jeremy Corbyn are dismissed as middle class, “croissant-munchers”, “Islington dwellers” (Islington, Jeremy Corbyn’s constituency, has one of the highest child-poverty rates in the UK) and coffee drinkers, ignoring the fact the United Kingdom has seen home ownership plummet, precarity in work contracts explode, and wages growth fall into negative figures. Equally, dismissing the poorest as a stereotyped view of the older, whippet-owning voter from the North of England, existing solely on tea, pies, and pints of ale, condescends an entire class, and is intrinsically coded both male and exclusively white, despite the increasing diversity of the working class in the United Kingdom. Acknowledging the complexity of class necessitates acknowledging the shifting tectonic plates of social dynamics in the UK — how geography affects our life chances, with greater proportions of wealth being sucked into London, leaving many areas economically desolate. How migrants have been kept in bottom-rung employment, and how reliant seasonal work is on a steady flow of European workers willing to work in agriculture and service industries for low pay. How the footholds of stability that previously hallmarked middle-class life have crumbled, so rents as a proportion of average incomes have risen unsustainably, how university education does not guarantee well-paying work and more of us than ever are trapped in the gig economy. Culturally, a sizable number of people under fifty might be classified as middle class, but their financial security is ephemeral, and one missed paycheck risks casting millions into penury. Understanding the shifts in how class operates in the UK is key to understanding the appeal and success of Corbynism: it is no surprise that this trend in dismissing his supporters as middle-class young dilettantes is coupled with a complete lack of curiosity at the phenomenon of the Left’s rise within the Labour Party. While New Labour and Thatcherism before it harvested votes by pushing the belief that individual gain was a far greater concern than the fortunes of wider society, Corbynism thrives because neoliberalism has failed millions, the housing system is milking the majority to fund the extreme minority of landlords, and the effects of austerity have left community after community with public services slashed to the bone, and the state safety net nonexistent. Capitalism has widened access to some cultural pursuits and consumption habits are less socially codified, especially among younger people. But equally, social mobility has stalled. One of the reasons why concern with the housing crisis in the UK is reaching fever pitch is few people are exempt: middle-class young people cannot afford to escape poor-quality rented dwellings, and their parents are raiding their retirement funds, remortgaging their homes, or finding their offspring living in the family home long into adulthood. The traditional working class are hammered in the same manner they were under the Conservatives pre-Blair. Yet for many politicians and commentators, class is just a set of quaint cultural markers, not a life-and-death part of existence, the feeling millions have that they are being exploited by a system that doesn’t have a care for them. For as long as the political elite continue to bray about coffee consumption and ignore how rigged the UK economy is, they will continue to fade into irrelevancy. Dawn Foster is a Jacobin staff writer, a contributing editor on housing for the Guardian , and the author of Lean Out .